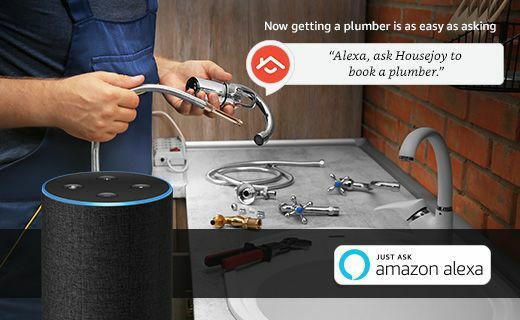 Are the rates higher than local technicians ? All our Service Providers are among the best in market, each having an experience of around 5 - 15 years in the domain and hence their quality is miles ahead of the local technicians. We don't send random unverified service providers; all of them are background checked and police verified. Hence they are trusted & reliable. We ensure a guaranteed satisfaction on your job. We also offer 7 days warranty on the work done in case you are not satisfied. We would do the rework free of cost should a problem arise within 7 days of the work done by us. Does the rates include material/spare part charges? All our rates for Plumbing, Electrical & Carpentry are only for the Labour Charges. They do not include the cost of materials. Our Service Providers will tell you what all materials (spare parts) are needed. You can buy the materials by yourself, or our Service Provider will buy the same for you. What is the warranty on service ? We offer a 7 day warranty from the date of invoice on all repairs. You need not pay Labour charges in case of a rework within that 7 day period. However, if any spare part/material is needed for rework, the cost would have to be borne by you. What is the warranty on products ? The product warranty differs from product to product and depends on the warranty given by the Original Product Manufacturer. Is it safe for me to allow your Plumber, Electrician or Carpenter in my home? It is absolutely safe for you to trust our Service Providers. All of them are background checked and police verified. Hence they are trusted & reliable. Our Operations team is always in constant touch with the SP when the work is being done. Will I get invoice once the job is complete ? Yes, we will send you the invoice for the labour charges. Material invoice/bill will be shared by the Service Provider and you will have to settle the material bill with the service provider. What is the mode of payment? You can pay using online banking or through cash once the service in complete. A payment link will be shared once the job is closed. The payment can be done using the payment link or you can open the app and pay against the closed job. Please note that we collect payment only for labour charges. All material bills have to be paid directly to the service provider. What are the service hours? Our services are available between 9AM to 7PM. Why do you have inspection charges? Inspection charges are applicable only if you decide to not take a service after the technician has visited and inspected your issue.